When most people think about unlocking a door without a key, their first thought is burglary. After all, wouldn’t anyone who is supposed to enter a home or business have a key? Well, of course that is not always the case. We don’t believe we will ever lock ourselves out. The truth is, people lock themselves out of their homes and offices every day. If this happens to you, you can prepare yourself for it by learning how to pick a lock. Lock-picking has been around for thousands of years – as long as locks have, in fact. And, it does take the right tools and a little finesse to pick a lock, but most people can master it. Lock picking is really about figuring out how to duplicate what the key does using different tools. So, it is important to know the workings of the lock you are trying to pick. Most household and many commercial locks use pin tumblers. A lot of businesses, however, use mortise locks, for example, because they provide a higher level of security. Because they design and construct these locks in different ways, they require different approaches in order to pick them. In order to pick a lock with pin tumblers, you need a basic understanding of how the lock works. The lock is generally a large housing with a hole in it. Inside the hole is a small, round cylinder that has the keyhole. There are generally 5 or 6 tumbler pins extending from the top of the housing down into the keyhole cylinder. Each tumbler pin is in two separate parts, one on top of the other. Normally, the breaks between the top and bottom tumbler pins don’t line up with the top of the keyhole cylinder. As a result, the pins hold the cylinder in place and don’t allow the keyhole cylinder to rotate, opening the bolt. When you put the right key into a lock, the peaks and valleys in the key lift each of the pins just enough that the breaks between the top and bottom pins line up neatly along the top of the keyhole cylinder. Once you line up the pins, the key is free to rotate the cylinder. This moves the bottom parts of the pins with it, and leaves the top parts in the housing. Therefore, when you pick a lock, you need to use tools that will lift the pins the same way that the key does. You will need some standard lock-picking tools in order to pick your lock. They design these tools to fit into the small keyways and shape them in various ways so they can manipulate the pins. The ends of these picks have and assortment of different shapes, peaks and valleys, and you need to find the tools that work best in each lock. Different sets may contain more or fewer picks. When you want to pick a lock, it is always best to have more, as this gives you a better chance of finding the picks that will most easily open your lock. Of course, your first thought will be that you probably won’t be carrying these tools with you all the time. If you are locked out and don’t have actual lock-picking tools handy, there are some common household items that you can use as substitutes. For example, you can use bobby pins and paper clips, or other thin but strong metal wires that you can bend into different shapes. The most common lock-picking tools are the tension wrench, hook, and rake. You insert the tension wrench first into the keyhole, keeping constant light pressure on it in the direction the lock cylinder turns. While you hold the tension wrench in place, insert a pick into the keyway several times, moving it around to manipulate each of the tumbler pins until all of them are in the position to release the lock. You will feel this moment happen as you are applying pressure to the tension wrench, and when it is done, the tension wrench will move to the right and turn the key cylinder. This process can be done, literally, in a matter of seconds, provided you have the skill and experience. People doing this for the first time will find it takes a lot longer, since they have not yet discovered and developed the hand techniques that work best. For beginners, it will be trial and error. And, of course, it will be easier with tools designed for this process. However, with a little patience, anyone can become proficient at lock picking. Just make sure all the locks you pick are your own! 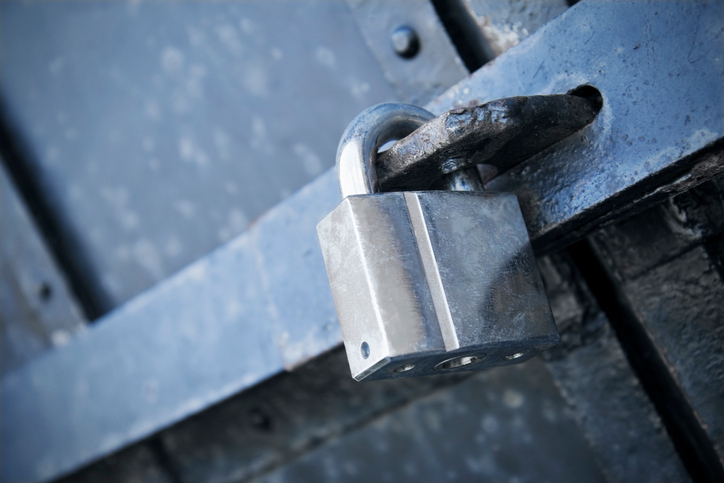 Don’t wait until you find yourself locked out of the house or you have a business lockout. That’s probably not the time to try to pick a lock for the first time. The process could take quite a while and cause damage to the lock. Plus, you will be under pressure to get back inside and that may make it more difficult. Learn how to pick a lock in your spare time using a padlock or old lock. This way, you can find out if you can do it and develop your skills. Most people find that when a home lockout happens, the best alternative is to call in a professional. A lockout locksmith has the skills and tools available to get you back inside your home or business in minutes. And, most offer immediate emergency lockout service and can get to you in under 30 minutes.